See ya later, sulfites! ? The worst part of wine is undoubtedly the hangover the next morning, but thanks to a Chicago-based startup, you can eliminate that hangover before you even start drinking. 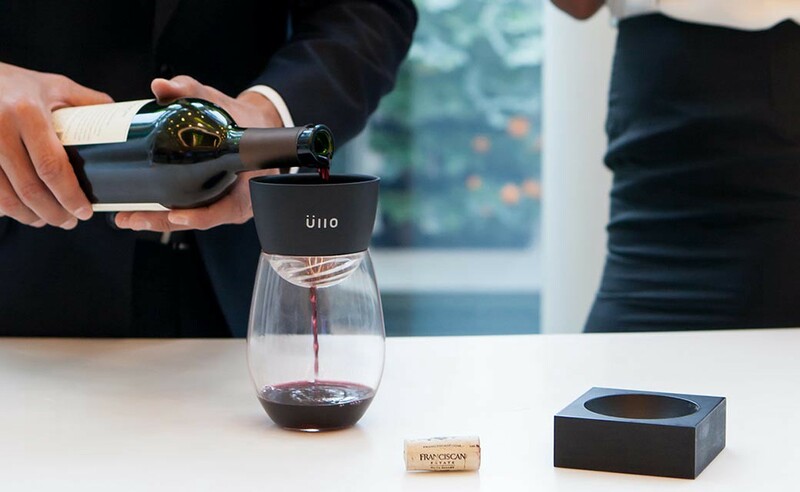 Üllo is a wine filter developed by a chemistry grad student at Northwestern University to help everyone enjoy purified wine. 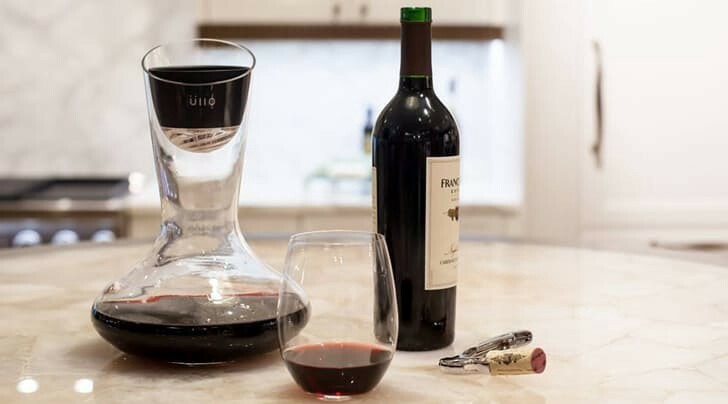 Essentially, it’s a Brita filter for your wine that removes sulfites — chemicals added to wine as preservatives—and any other sediments that may have slipped in during packaging. While these preservatives are necessary for transporting your favorite red over from Italy, you definitely don’t need to drink them — they’re actually known to add a harsh, bitter taste to wine. Some also argue that sulfites can exacerbate your hangover. And some people—about one in 100, in fact—are sensitive or allergic to sulfites. 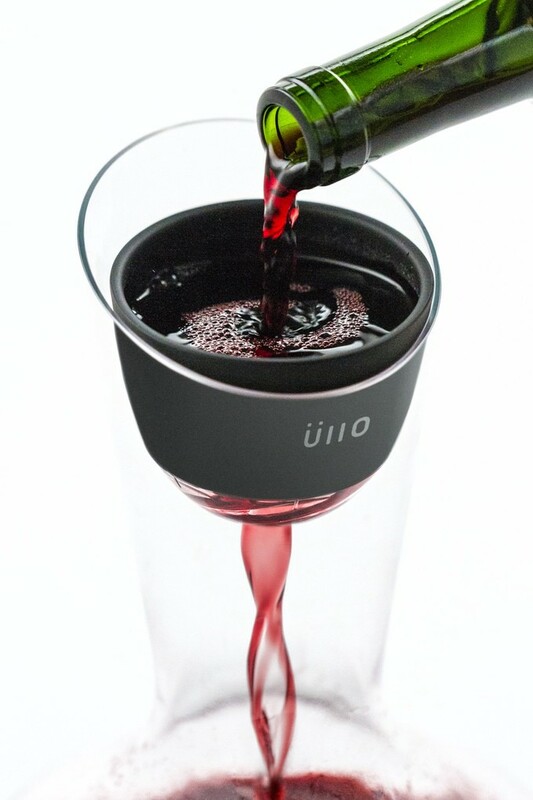 So, to return wine to its purest state before drinking, you can strain a glass (or a bottle—no judgement) through Üllo. Just place the aerator into a decanter, carafe or a single wine glass and place a filter into the aerator. Then pour your wine in, and the sulfites are strained with the filter. You can strain an entire bottle with the filter before it needs to be replaced. You can also use the aerator by itself to aerate your wine as you pour. So if you’re looking for straight-from-the-vineyard taste from the comfort of your own couch, pour a glass and enjoy.